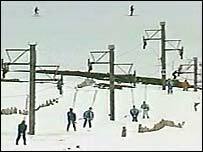 The closure of Glencoe ski resort has come as a blow to the winter tourism industry in Scotland. The announcement that it would not open this winter has led to speculation that falling snow levels may force the centre to shut permanently. The reason for the closure has not been made public, but it has succeeded in igniting a debate about the future of skiing and snowboarding in Scotland. The tourism industry remains optimistic, pointing out that Glencoe has not been closed for good and highlighting the fact that there are other "excellent" resorts on offer in Scotland. But for some snow sport enthusiasts, the picture looks bleak. Snowboarder Scott Todd, from Edinburgh, coaches young boarders in Scotland and has been using the facilities at Glencoe for years. He said its closure was "devastating" for the snowboarding industry in the UK. "It just indicates to me what dire straights the whole industry is in. 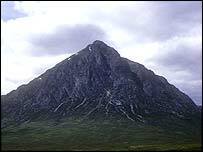 "Glencoe is amazing - it has some of the best natural runs going and this is such a shame. "I'm afraid that if we have another bad season we might see more resorts close in Scotland." But Highland councillor Drew McFarlane Slack said Dr Watson painted a very depressing picture. He said: "I simply don't believe the global warming argument. "There has been a cyclical series of warm and cool weather over the period of my life and the weather right now is part of that cycle. "We will see snow coming back to Scotland as we always have - and indeed as we have in the last few days. "People in the tourism industry that I have spoken to at Glenshee and at the Cairngorms all agree that it is nothing more than a cyclical blip." BBC Scotland weather presenter Gail McGrane said that if the global warming theory is to be believed, the temperature will get warmer and consequently there will be more rain. She explained: "If there was more rain, above the freezing line it would fall as snow, and there would actually be an increase in snowfall. "But at the same time, air temperatures will rise and so too will the freezing line - resulting in more snow at the peaks and less lower down. "Basically, if that snowline keeps rising, the runs will get shorter and shorter." Poor transport links have been put forward as another possible theory for Glencoe's current woes. Mr Slack suggested that the Scottish Executive could do a lot more to boost visitor numbers to resorts like Glencoe. "Fifteen years ago the future looked bright, with the Scottish Development Agency carrying out improvements on roads and bridges in the Highlands. "But then the work just seemed to grind to a halt, and now we have parts of the main road up to the Highlands - the A82 - with single track sections and traffic lights." Mr Slack would also like to see a network of small airports in the Highlands and Islands. He said this may help entice back skiers who now take advantage of cheap air tickets to resorts in Europe and the US. Marian Austin, chair of the Ski Scotland Marketing Group, was keen to point out that there were other resorts to ski at in Scotland this winter. She said: "It's very disappointing for this announcement to happen at this time of year but it's not by any means a disaster. "There are four other bigger areas to ski at in Scotland that are gearing up in anticipation of a good winter season. "Our particular business does go up and down and that's something that we've always had to cope with."